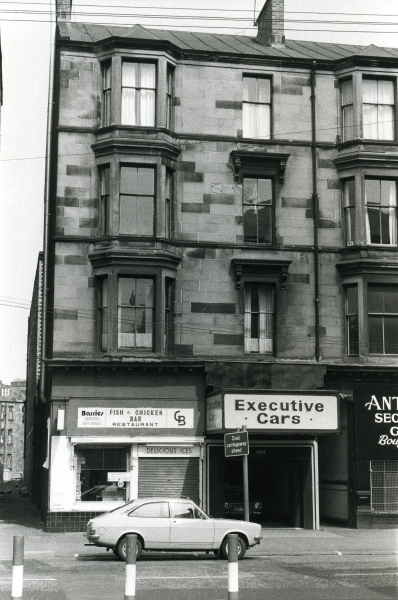 Opened in 1921 by the Granville Picture House Ltd, in an old Wesleyan Mission hall in the back court of a tenement. The architect was George M Brand, and seating was for 550. In 1928 it was renamed the Gem and renovated (with a green & cream vitrolite name sign), now seating 592. Closed in 1958, then used as a car showroom until it was demolished in 1981. Photo courtesy of the Scottish Screen Archive / Chris Doak.